Impure skin originate when sebaceos clam are blocked and inflame. Frequent exfoliation makes the skin younger an rosy fresh. 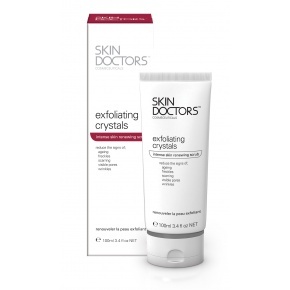 Exfoliating crystals - intensive exfoliation with skin renewing formula. Many skin problems are due to an accumulation of excess, dead cells on the skin’s surface. This can make the skin seem weak, rough, blotchy and dry, showing the signs of the time. 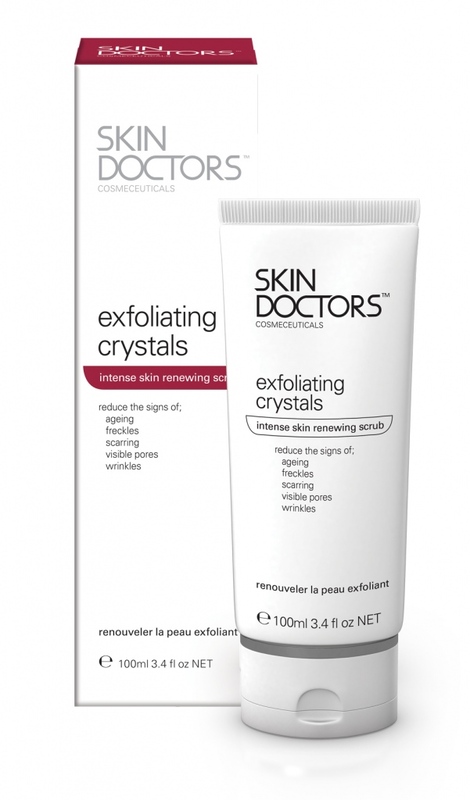 Skin DoctorsTM Exfoliating Crystals is an intense skin renewing scrub formulated to reduce the signs of ageing, freckles, scarring, visible pores and wrinkles. Powerful exfoliating action assist skin renewal and reduces signs of ageing for a fresh, glowing complexion. Skin DoctorsTM exfoliating crystals are a luxurious cream scrub to help slough away the dull, outer layer of skin and reveal the new, brighter looking complexion that lies beneath. The powerful micro-beads help reduce the many signs of ageing, freckles scarring, visible pores and wrinkles without harsh scratching. Microencapsulated beads: Rather than aluminum oxide (Corundum), these microencapsulated beads will give you all of the benefits of a powerful exfoliation, without harsh scratching or damage to your skin. Melaleuca alternifolia (Australian Tea Tree) Oil: Obtained from the leaves and branchlets of the Australian tree Melaleuca alternifolia, Tea Tree has antibacterial properties and has been shown to assist in the treatment of skin infections, including acne blemishes. 1. Cleanse face thoroughly and pat dry. 2. Dot the Exfoliating Crystals on the parts of the face or body to be treated. 3. Using Micro-dermabrasion Accelerator Unit or exfoliating gloves, and using circular, massage the crystals into the treatment areas for up to 5 minutes per area. 4. Dust the crystals off the treatment area with a dry towel or flannel cloth. 5. Rinse area thoroughly and pat dry. CAUTIONS: Prior to use patch test on a small section of the treatment area and wait 24 hours. Do not use on broken, damaged or irritated skin. If irritation develops, discontinue use.